Hey there with a quick update! With 2 more weeks left in my final field experience/placement/stage at the elementary level before graduation, my excitement level is high. That being said, I’ve had myself a fantastic time at Cedarcrest Elementary School here in Ville Saint-Laurent (Montreal, QC, Canada) with the children from grade levels K-6. With 11 more school days until the end, I already anticipate that my final day will be bittersweet! P.S. 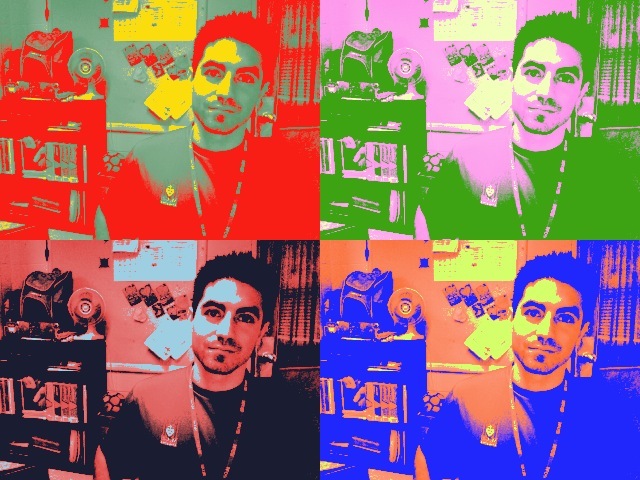 It’s funny how the “Pop Art” effect in Photo Booth on the Mac makes it seem like I have much more facial hair than I actually do at the moment.